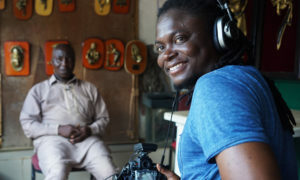 Emeka Okereke Multimedia Studio is run by the Visual Artist and Writer, Emeka Okereke who has been working with photography, film and sound since 2003. A masters graduate of the Fine Art School of Paris, his works have been mainly in the visual arts, resulting in numerous exhibitions of his projects in major cities around the world notably Paris, New York, London, Amsterdam, Johannesburg, Milan, Frankfurt, Dakar, Addis Ababa and Lagos. 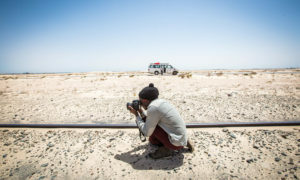 In the same vein, he puts his expertise, his passion and creativity at the service of many commissioned photographic and film projects in Africa and Europe. 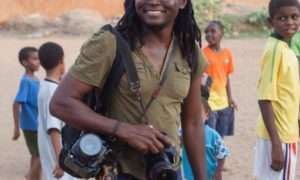 He brings not only the professionalism of a photographer, filmmaker and writer to these assignments but also the passion of an artist who, over the span of 14 years, has dedicated his career to exploring and understanding the mechanisms of our societal engagements. 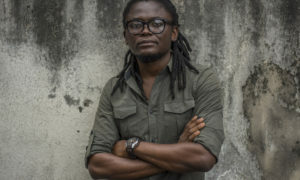 Some of the notable assignments he has worked on in the past years are: Photographic documentation of the aftermath of Ebola in Liberia for Africa Development Bank, producing an 8-minute documentary film of Sexual and Gender Based Violence in Nigeria, commissioned by the British Council and Justice 4 All. He has also worked extensively in the field of architecture and editorial photography as well as music videos and short films. 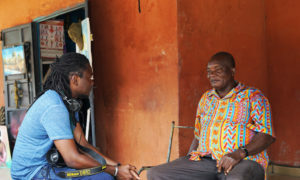 Some of his clients in the mentioned fields are CM Design Atelier, Forbes Magazine, Amnesty International, Jeune Afrique. Etc. 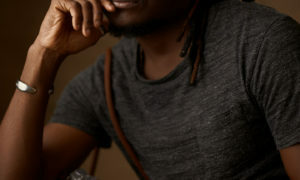 Emeka Okereke Multimedia Studio is looking to work with clients – individuals and institutions – who are in search of that extra edge of creative, unconventional imagery imbued with deep consideration for the subject matter, such that an artist like Emeka Okereke can bring to their project.